Martin Symington will give a historical overview and personal observations on how Portugal became the focus of international attention while the country transformed into a modern democracy. 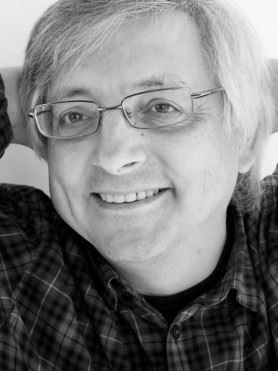 Martin Symington is a UK-based travel journalist and author who was born and brought up in northern Portugal. He contributes to numerous national newspapers and magazines, his books include the Dorling Kindersley's Portugal Eyewitness Guide and the AA's Essential Portugal. Martin maintains close contacts with Portugal, travelling there frequently on journalistic assignments or to visit family. He also lectures on Portuguese history, politics and life on cultural tours of the country. He has been awarded the Medalha de Merito Turistico by the Portuguese Government. Martin writes widely on all matters of travel but tells us "I am captivated by the Portuguese-influenced world. Searching for redolences of my homeland has taken me from Macau to Mozambique and East Timor to Sao Tomea in Equatorial Africa among many more"
"Martin Symington is a travel journalist and author. He travels all climes in search of original stories and has contributed to most of the UK’s national newspapers including the Times, Telegraph, Independent, Guardian, Observer, Mail, Express and Scotland on Sunday as well as magazines such as Sunday Times Travel and Wanderlust. Martin has also written several guidebooks. The most recent Sacred work has won numerous awards including the BGTW travel writer of the year, the ATTA journalist of the year and the Kingley travel press awards travel feature of the year. Britain: a guide to places that stir the soul was acclaimed as ‘a wonderful, timely guide’ (BBC Countryfile), ‘impeccably researched and beautifully written’ (Glasgow Herald) and ‘a fascinating take on travel in the British Isles’ (Sandi Toksvig). ‘Read the stories that Martin tells so well,’ urged Sir Mark Tully. Beyond writing, Martin has been a reporter for BBC Radio 4’s Breakaway and has contributed to Excess Baggage (BBC Radio 4) and the Travel Channel. He has been the RFL Fellow at the University of Reading, tutored adult-education courses in travel writing at the University of Bath and lectures on background history, politics and culture for travel companies. An incorrigible general-knowledge junkie, Martin has taken part in National Geographic Channel’s National Geo-Genius and BBC Radio 4’s Brain of Britain. He lives with his family in a sleepy Wiltshire village."